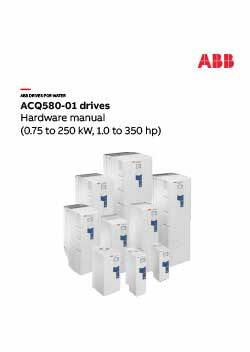 This all-compatibile ACQ580 drive shares the same family features as other ABB drives in the portfolio. This ACQ580 has been specifically designed to simplify your pumping processes and motor control in water and wastewater applications. 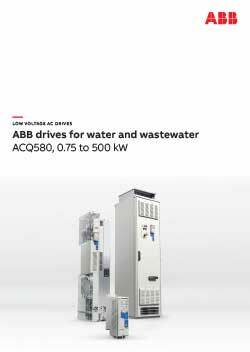 This drive controls virtually any kind of motor from induction and permanent magnet motors to ABB’s Synchronous Reluctance motors up to 500KW. The drive is widely used in waterwater treatment plants, pumping stations, desalination plants, industrial wastewater facilities and irrigation environments – controlling such equipment as pumps, compressors, blowers, centrifuges, mixers and fans. The whole functionality of the drive has been designed to keep pumping systems operating optimally therefore lowering the energy bill. This compact and robust unit is available in wall-mounted and cabinet built drive and has built in pump application functionalities such as sensorless flow calculation, multipump control, level control, soft pipe fill, dry run protection, and has quick ramps and a solution for keeping the impeller of the pump clean. Beta Power Engineering was established in 1974 and has gained over 40 years trading experience in the power transmission field. Our scope ranges from the supply of new electric motors, gearboxes, inverters and control panels to the rewind, repair and refurbishment of free issue rotating equipment and control gear. Beta Power Engineering are proud members of the ABB Authorized Value Provider network, this being the authorised distribution route for ABB motors and ABB drives. 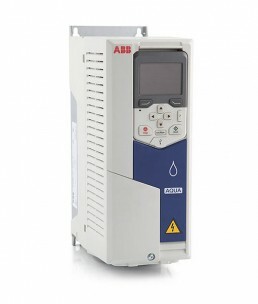 Our stock holding of ABB motors and drives is one of the largest in the UK.